Team Sanya took a shakedown sailing on 13th February after a week’s overhaul at its home port for the Sanya In-Port Race on weekends. 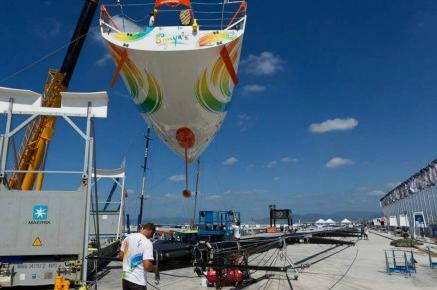 It is the first opportunity that Team Sanya could use every second to fully recoup and repair its damaged boat since the Volvo Ocean Race kicked off from Alicante Spain. “We only maintained the ship’s bow in Cape Town after we suffered a severe crash in the first leg of the VOR,” shore crew manager David Duff said. 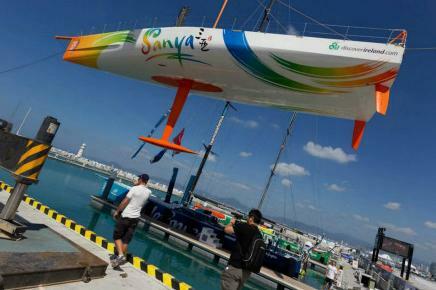 Mike Sanderson, the skipper of Team Sanya, said on his blog, “We will race back on the sea as a potential competitor,” after the successful shakedown. It’s reported that Sanya In-Port Race will be held on 18th February, and a practice In-Port race and a mixed race will be held on 16th and 17th February respectively.